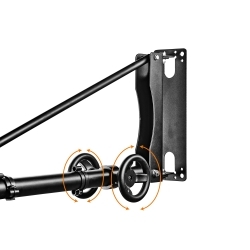 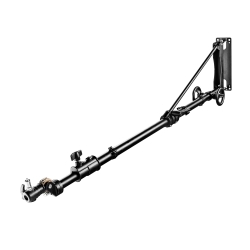 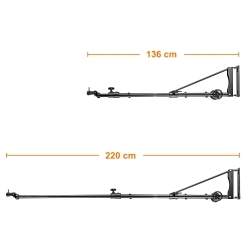 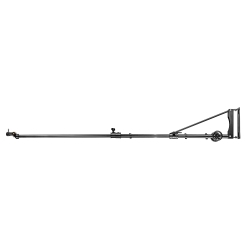 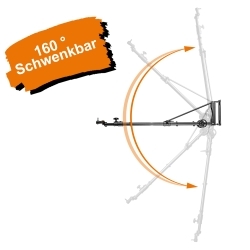 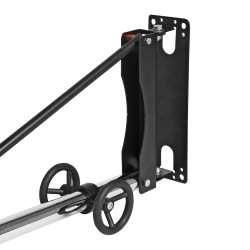 The sturdy boom arm of the walimex pro Wall Mount Boom is rotatable in its vertical and horizontal movement. 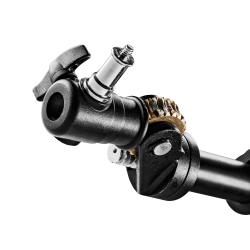 In connection with the changeable spigot, your studio flashes can be used in many ways. 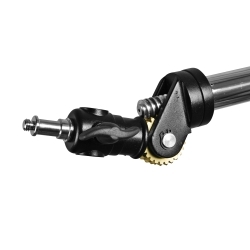 The boom arm can be rotated through the crank about 180°, so that you can bring your flash head in the desired position. 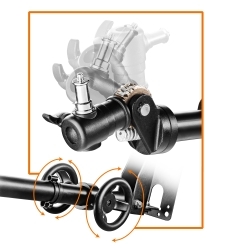 The convenient cable clamps avoid disturbing hanging down of your flash cables.